Late last night, Scout reminded us of the incident that inspired our 2007 post Barf-a-rama: Coming Too Soon To A Home Near You. The spontaneous stroll down this particular toddler memory lane was like a parenting pop-quiz on a chapter long-forgotten. We scored high on items like EXTRA SHEETS, but sadly that particular point was irrelevant as the eruption landed solely on a handmade pillow (Sorry, Mimi-n-Moe's Mom, but it does wash beautifully!). I entirely forgot #2 and immediately thought, "Hey, that's the last of it." Thus I earned a second pair of chunkalicious pajamas to launder. Once we realized that our child should be treated as an erratic fire hose of digestive destruction, I reached behind the door and grabbed our easily washable, water resistant nylon hairstyling cape . * A couple snaps later Scout's clean jammies were shielded by her "Sick Cape." Nothing like a barfing, backwards caped superhero. I would normally offer action shots, but the simultaneous unsubscribes might break Feedburner. And after a few more rounds of awful, all the exhausted citizens of our little patch of Gotham slept soundly in clean, warm beds and jammies. *I cut Jim's hair: sometimes well, sometimes badly. 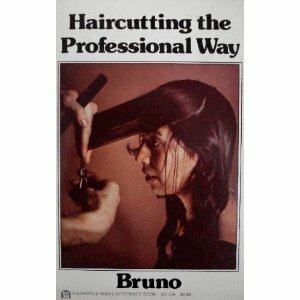 My only "training" consists of a VHS tape that came with the clippers and the 1978 manual Haircutting the Professional Way by Bruno from my parents' house It started during our potato years (we couldn't even afford salad) as a cost cutting measure, but Jim prefers it (despite the risks) because he doesn't have to make small talk with a barber or stylist. ***Baby Toolkit is the work-in-progress of a some slightly bloodshot geek parents raising an energetic clutch of wee people this side of the Land of Nod. We're Amazon affiliates, so a percentage of purchases made through our links (you know you want that Bruno book) bring us that much closer to owning our own decommissioned nuclear silo on the windy plains. Thanks for reading Baby Toolkit!